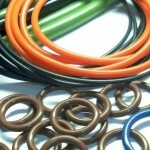 Lusida Rubber Products has a wide range of molding capabilities, from grommets and O rings to washers and bushings and much more, in both solid and sponge rubber, with any custom specification. Whether you need custom or standard, we can deliver to your specifications, on time and at the right price. 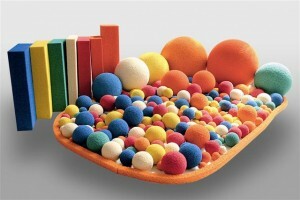 The cells of sponge rubber are like individual balloons, holding gas and not allowing moisture to pass through as long as the cell wall has not burst. 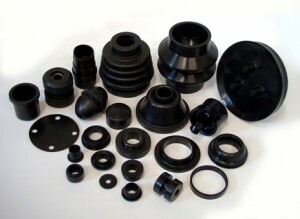 The raw compound is mixed on the same type of equipment used to mix solid rubber compounds, but a chemical blowing agent is also added. Under the heat and pressure of a pre-cure or pre-forming process, this additive decomposes and mixes with the rubber compound and generates nitrogen gas. Compression Molding involves placing the uncured rubber compound into a heated, open mold cavity, then closing the mold under pressure (usually in a hydraulic press) to initiate vulcanization (curing). Transfer Molding requires the uncured rubber compound to be placed in a transfer chamber, heated, then forced into the mold cavity under pressure until cured. 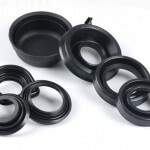 Injection Molding entails preheating uncured rubber in a chamber, then injecting it into a closed, heated mold. Oil and grease seals have a flexible lip that rubs against a shaft or housing to prevent the leakage or ingress of fluids and dirt. For proper installation, the seal lip should point towards the medium being contained. 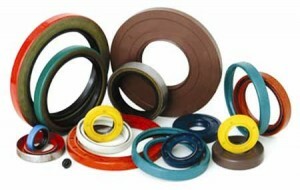 Lusida Rubber manufactures oil seals of different types, shapes and sizes.